2.) Define and name the scene if you have not done so already. 3.) 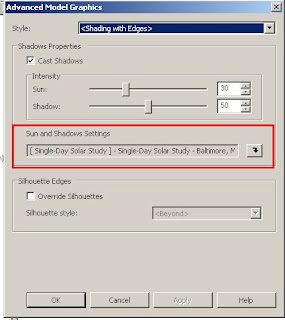 Ensure that the Use Sun and Shadow Settings From View option is unchecked and click to the Sun button. 4.) 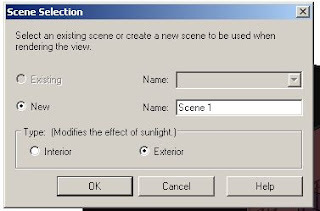 In the Sun and Sky Settings Dialog click on the Place tab. 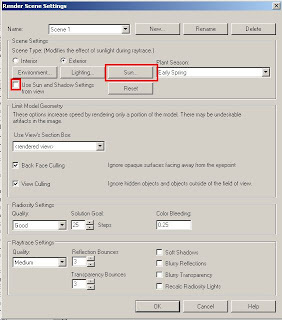 Right Click in the Cities Box and select Add from the right click menu. 5.) Fill in the necessary information and Accept the Changes. 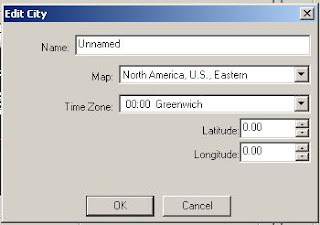 When you go to select a City while setting up your shadows the new city should be available from the drop down list. 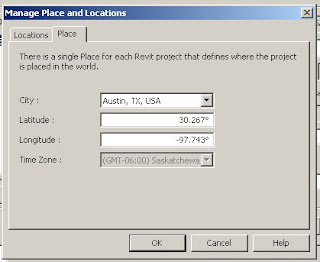 This option allows you to add any location throughout the world and will allow precise shadowing based on the location's latitude and longitude. The new Timeline feature of google offers some interesting ways to view your search data; from the usual "list view" to the new experimental timeline feature and map view of data. As an example I did the search term BIM (click here for the timeline search) and it came up with a timeline of related terms starting around 2002. Switching to the Map view showed a great alternative to view how big this subject is around the world.